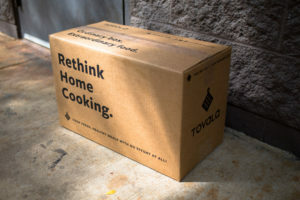 We believe Tovala Meals should make it easier to eat better without creating a lot of waste in the process. Thatâ€™s why we worked hard to make sure that all of our meal packaging is recyclable! 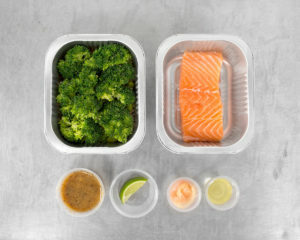 By using only insulation and gel packs to keep your meals fresh, our goal is to minimize waste. And the best part is that you can recycle or reuse both components! 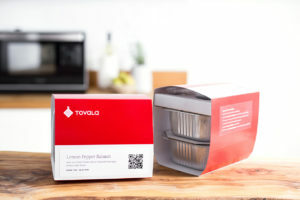 The Tovala Meals inside the box will look just like what you see below. Some meals only consist of one tray (like our Asparagus and Sweet Pea Baked Rigatoni), while others consist of two (like our Thai Turkey Meatballs). Recyclable plastic and cardboard make up every component. We hope this post is helpful, but if you still have questions, please feel free to email us at support@tovala.com, or chat us by clicking â€œQuestions? Letâ€™s Chatâ€� at the bottom of your screen!